ASPHostPortal.com is the perfect solution for SQL 2005 Hosting. A low-cost, highly scalable database that is designed specifically for Web hosting market. Starts from $5/month. We offer professional grade SQL 2005 Hosting to organizations, businesses and developers across the Globe. SQL Server provides a number of tools that serve different purposes, such as installation, database query, and replication. All these tools have user-friendly graphical interfaces. SQL Server 2005 is ready for the enterprise, offering exceptional data availability and manageability,hardened security, and the ability to scale from handheld mobile devices to the most demanding online transaction process-ing(OLTP) systems and multi-terabyte data warehouses. Our SQL Server 2005 hosting platform utilises the latest in enterprise server grade equipment and ensures that your SQL Server hosting requirements are served around the clock without any interruptions! 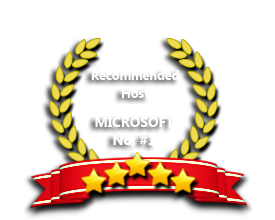 ASPHostPortal.com is a specialist in Microsoft SQL 2005 hosting. Our SQL 2005 databases are hosted on their own separate SQL servers. Customers can manage their SQL 2005 remotely via SQL Management Studio and have DBO Access. Develop and host your Access Database on a platform that provides the highest level performance, scalability, availability, with disaster recovery built in. Our Windows Cloud Hosting fully supports SQL Server 2005 hosting. You are more than welcome to try our Free Windows Cloud Hosting before you decide to buy. You can get your Free Cloud Windows hosting account up and running within the next few minutes.